Juggu Dada aka Jackie Shroff even recreated his evergreen song Tera Naam Liya with one of the contestants' mothers on Sa Re Ga Ma Pa Li'l Champs 2019. Sa Re Ga Ma Pa Li’l Champs 2019 has been treating fans across the country with beautiful renditions of melodious hits. Weekend after weekend, the contestants sing in front of the jury and the judges including Shaan, Richa Sharma, and Amaal Malik. It wouldn’t be wrong to assume that these little wonders have become a part of our Sunday ritual, and our breaks would be absolutely boring without their performances. 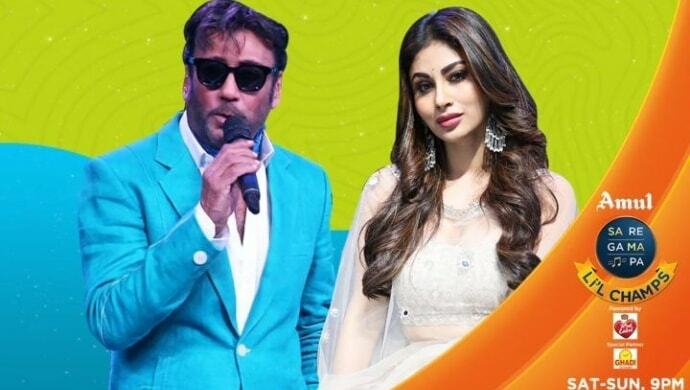 In the latest episodes of the Zee TV music reality show, the contestants performed in front of Bollywood’s affable charmer, Juggu Dada aka Jackie Shroff and the mesmerizing Mouni Roy. Bhavish has been consistently bowling us over with his power-packed punches. He crooned Dard-e-Disco from Shah Rukh Khan, Deepika Padukone‘s film and boy, his version was so much better than the original. What do you think? Chhota packet Mohammed Faiz did a big dhamaka with his ‘raapchik’ performance on Shah Rukh Khan’s song Dil Se Re. He truly set a benchmark for the musical night with her rendition! Crooning Bappi (Lahiri) Da’s famous number starring Mithun Chakraborty, Swaransh rocked the stage whilst Jackie and Mouni cheered on for the small wonder. The talented Aavya hit it straight out of the park with her soul-stirring performance on Asha Bhonsle & Aditya Narayan’s chartbuster track Rangeela Re. Interestingly, the film starred Jackie and remains one of his bests till date. Which of these performances was your favourite? Let us know in the comments box below. In the meantime, catch up or binge watch performances by the little champions of Sa Re Ga Ma Pa Li’l Champs 2019 on ZEE5.